Do you ever feel like you’ve tried everything to get better but just can’t find relief? At Coeur d’Alene Wellness, Dr. Daniel O’Neill offers a wide variety of naturopathic and chiropractic therapies to help you regain your health. Do you have a problem that has not gotten better? Have you been unable to find the answers you need, even though you’ve been intensely committed to improving your health? Dr. Dan wants to help. Over the years, he has been able to change the lives of patients who suffered from various conditions despite following doctors’ orders. 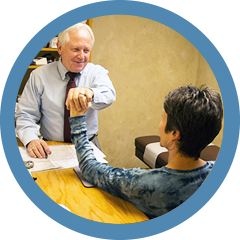 Change isn’t always easy, but if you commit to the individualized treatment plan Dr. Dan creates for you, based on your personal exam and his decades of expertise, odds are you will begin to see lasting, meaningful results. Not all alternative health or naturopathic treatments fit neatly into the insurance companies’ coverage framework. 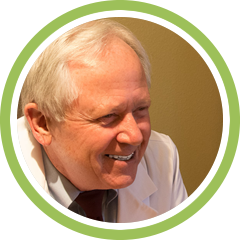 As such, most of the treatments Dr. Dan uses at Coeur d’Alene Wellness are not covered by insurance. That’s why he stresses that patients must be committed to seeing results, to changing their lives, even if it costs a bit more than conventional medical treatments. 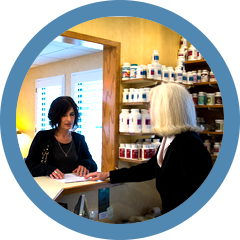 In the long term alternative health care at Coeur d’Alene Wellness gets to the cause of your problem and produces real results. For years, Dr. Dan’s wife Katrina suffered from a whole host of symptoms that couldn’t be explained. With persistence and with the help of naturopathic health care, Dr. Dan was able to identify chronic Lyme disease as the cause of Katrina’s illness. Now he’s on a mission to help spare other patients in the Spokane community from suffering unknowingly with this disease. If you suspect you have Lyme disease or are looking for relief from any condition and want to learn more about how naturopathic and chiropractic care can help, please contact our office to schedule an appointment! I am feeling very hopeful. I know I have a lot of work to do, but at this point, I am ready. Excellent doctor visit! Highly recommend! I’m excited to see and feel positive results with my on going care from Dr O’Neill! Thank you a hundred times over for accepting me as a patient! I thoroughly believe Dr. O’Neill’s naturopathic treatment is the way to good health now and in the future. I am now able to do things that a 75-year-old woman should not be able to do! The initial consultation was excellent, as were the questions asked to determine whether a patient was seeking the right treatment for his or her health problem. I look forward to the process. Dr. O’Neill combines top notch clinical skill with a strong intuitive gift. He is truly in a class all of his own in the Inland Northwest. I appreciate that you and your staff took all the time I needed to understand your treatment plan. I have great hope in this healing endeavour. Thank you! You are everything my daughter told me to expect! Thank you so much for your excellent care in every way. I am looking forward to having much better health because of you! God bless you!